This was Ace's final album. By now, punk was pumping its fists all around and a laid-back album of AOR rock/soul was simple not culturally relevant anymore. It is perfectly listenable, taken out of context, but it is not as good as the group's other two offerings. It is very much a harmless slice of Southern Californian-influenced AOR. Completely inessential, it has to be said. Personally, I never felt Ace were particularly a "pub rock" band, but either way, many groups who were in 1974-76 were now veering strongly towards punk. Ace did the opposite and went full-on West Coast USA. A strange choice for a UK band in 1977. It was to be their final choice. 8. Why Did You Leave Me? 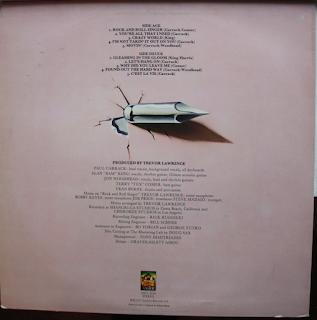 "Rock And Roll Singer" is a rollicking piano and brass Chicago-esque opener, while "You're All I Need" sort of taps into that now quite long gone feel of "How Long" but with some very end of the seventies, easy listening vocals and some Santana-style guitar. "Crazy World" has a Doobie Brothers riff and some soulful, Boz Scaggs-inspired vocals. "I'm Not Takin' It Out On You" continues in the same Doobies/Eagles/later Tower Of Power albums vein. Like the previous album, much of the album's material is very US freeway/radio-friendly in feel, nothing like the UK in 1977 at all and, as another estimable reviewer has pointed out, the 1974 glory days of "pub soul" with "How Long" now seem a very long time ago. "Movin'" has lyrics full of Americana-derived images with lyrics about "taking the coastal highway". Tracks like this are perfectly inoffensive but they seriously are nothing special. "Gleaming In The Gloom" reminds me of Traffic's mid-seventies output. 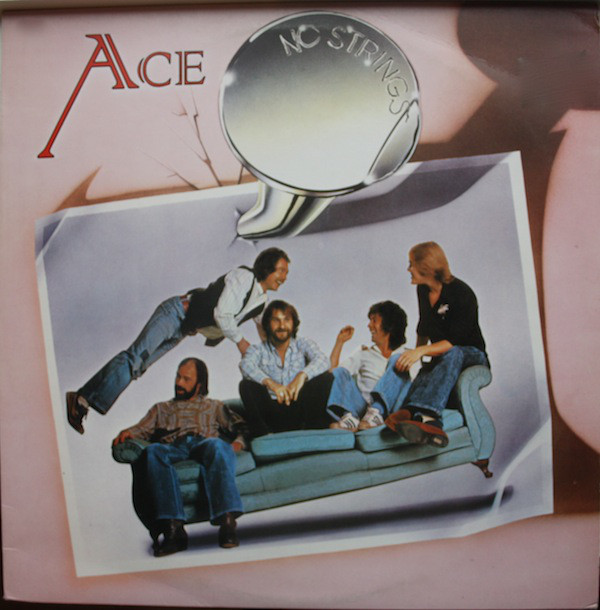 It also has hints of Ace's best 1974 work, particularly in the guitar solo mid-song. 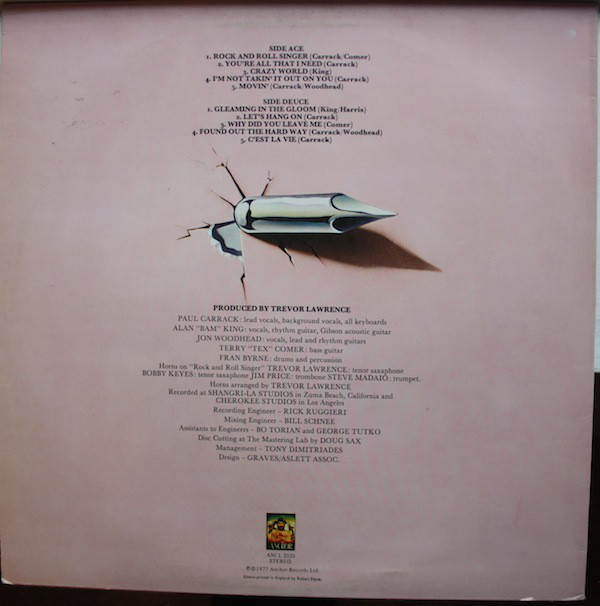 "Let's Hang On" again ploughs that 1974 furrow but with a bit of a Jackson Browne-sounding vocal from Paul Carrack. "Why Did You Leave Me?" is a pretty ordinary mid-pace rock ballad. Some nice guitar floating around on it though. The chorus is uninspiring, it has to be said. "Found Out The Hard Way" is a lively rocker once again featuring some impressive riffy guitar. It is one of the album's better cuts, for me. "C'est La Vie" is a sad-sounding number to end Ace's three year, three album recording career. All three of their albums were eminently listenable, but they never really made it, which was a bit of a shame, but listening to the albums, you can sort of hear why.